Ba. App. Sc. (Env. Health), F.A.I.E.H., M.A.I.B.S., J.P.
Neil has worked in local government for over 35+ years, his primary qualification is a Bachelor of Applied Science (Environmental Health). Neil is also qualified food safety auditor and has other qualifications in the building, planning and management fields. Neil has taken an active interest in his profession having been a NSW State Councillor for the AIEH and President of the Riverina Group of the AIEH and the AIBS. 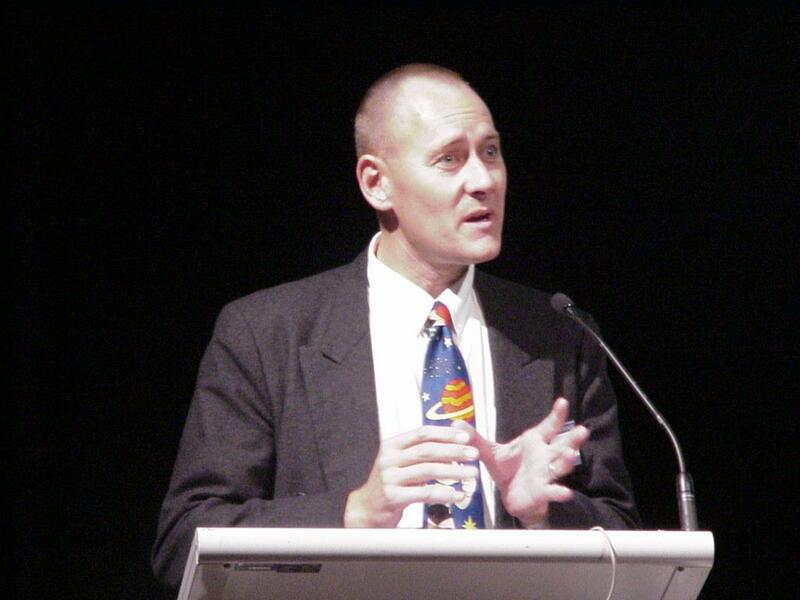 Neil has also given a number of papers at State, National & International conferences. Neil is also a Councillor on the Junee Shire Council, holding the position of Mayor since 2014. 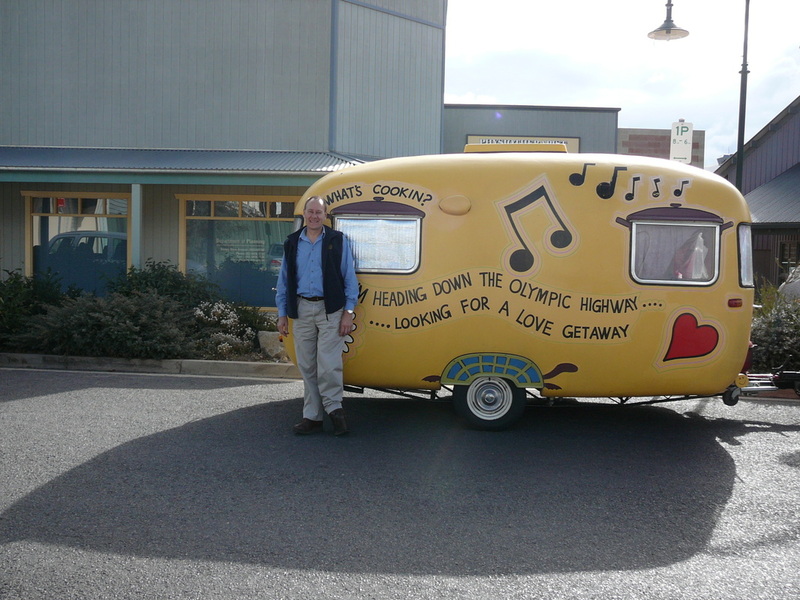 Neil with the Global HQ (Mobile) or more commonly, his 'home away from home' AKA "The Love Shack". 2016 Riverina Environmental Health & Building Professionals Group Annual Conference, Coolamon – “Tricks of the Trade”. 2015 Environment Development & Allied Professionals Conference, Penrith – “Getting the Work/Play Balance Right”. 2014 Environmental Health Australia NSW State Conference, Mudgee - “Preparing for Life Prepares You for Work”. 2011 State Conference Australian Institute of Building Surveyors, Cockle Bay Wharf, Sydney - “In The Poo – Safe and Smart Septic Tank Inspections”. 2007 State Conference Australian Institute of Building Surveyors, Cockle Bay Wharf, Sydney – “Rain From No Where – Poetry Recitation”. 2007 Local Area Building Control Regional Meeting, Sunderland City Council, Sunderland, England – “An Overview of the Australian Building Control System”. 2006 State Conference Australian Institute of Building Surveyors, Cockle Bay Wharf, Sydney – “The Fifth Element – Aftermath of the Junee Bushfires”. 2006 National Conference Australian Institute of Environmental Health, Four Points Sheraton, Sydney – “Effluent of the Affluent – Septic Tanks in Poetry & Pictures”. 2002 National Conference Australian Institute of Environmental Health, Manly Pacific Parkroyal, Sydney – “What Price the Trainee? – An Exchange Programme Model”. 2001 Royal Institute of Chartered Surveyors International Conference & Exhibition, Royal York Hotel, York, England, “Out of the Developers Pocket – Building Regulation in Australia”. 2001 Waste 2001 Conference, Novotel, Opal Cove, Coffs Harbour – “Developments & Trends in NSW, The Riverina Eastern Region Experience”. 2000 NSW Waste Management Conference & Expo, Australian Technology Park – “Landfills – Partnerships With The Community”. 1999 State Conference Australian Institute of Environmental Health & Australian Institute of Building Surveyors, Sydney Showground & Exhibition Complex, Homebush Bay, “On-Site Sewage Management – A Collaborative Approach to Environmental Health”. 1997 Central Sydney Area Health Service, Ashfield Council Chambers, “Preventing Falls in Public Places” Forum.